There are a LOT of amazing low mileage Mercedes in the Newport area. For less than the cost of a new honda, you can get one heck of a cool car. Problem is, the entertainment system is going to be out of date. WAY out of date! 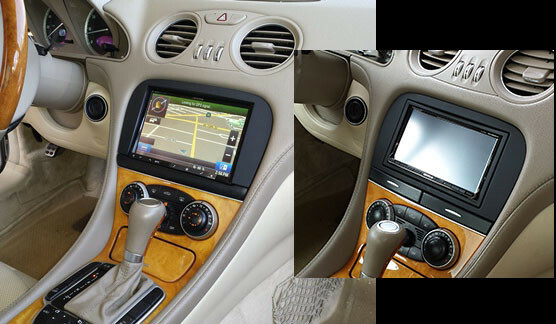 Your beautiful Mercedes NEEDS Bluetooth, modern navigation, iPhone and Android integration, backup camera, DVD, Sirius XM, etc! How about a sound quality upgrade as well? Most of our customers are surprised that even the most basic stereo upgrade will give a big improvement in sound quality (when tuned by our experts). For less than you’d pay for the factory “upgrade” system in a new car, we can do a stealth sound system that will amazing you with its clarity and musicality. Hidden subs, micro amps, digital processors…you won’t believe your ears. SLs are definitely our most popularly upgraded Mercedes, but we can help many other models as well. Mercedes Sprinter vans in particular are the current rage. We’ve done sound system upgrades, backup cameras, Navigation systems, Bluetooth and more. Mercedes uses a proprietary optical system that is very difficult for most shops to work with. Go to the wrong shop and you’ll get a system that sounds like crap or worse, doesn’t work at all. We know, we fix other shop’s mistakes all the time. 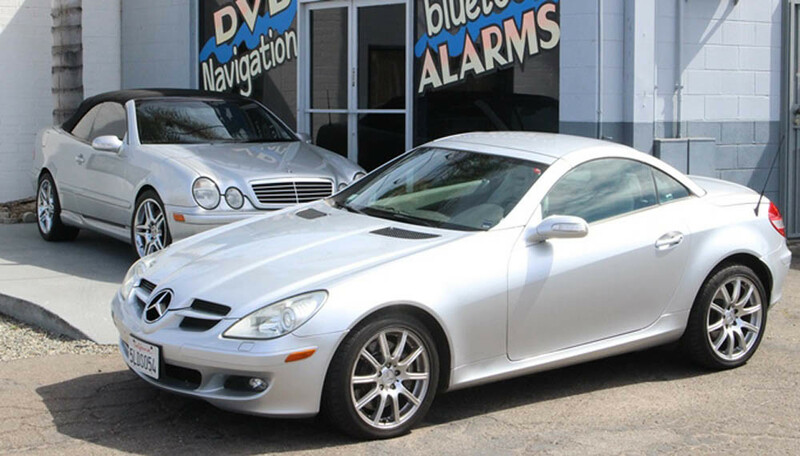 At So Cal Auto Sound, we do more Mercedes than anyone else. Your new infotainment system will also look like it came with your car, with the best, properly installed integration kits.